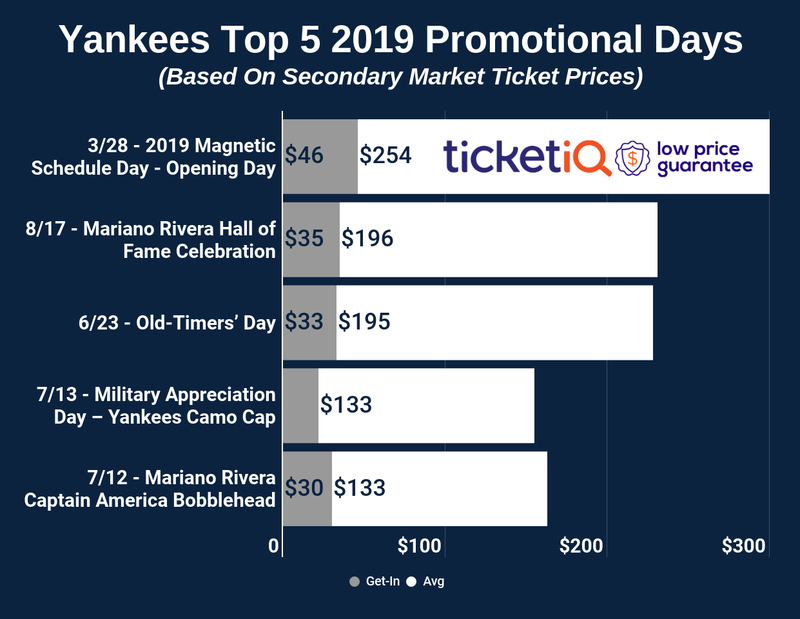 After one year of anonymous success that felt like house money, expectations for 2018 New York Yankees season as as high as ever, and prices for Yankees tickets have followed suit. 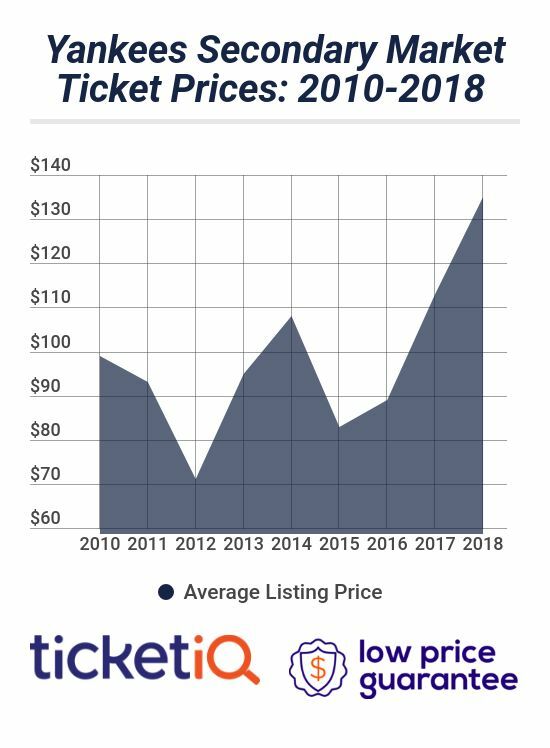 Since the team acquired Stanton, the asking price for tickets for Opening Day have risen 14 percent, according to TicketIQ.com and the overall average asking price for a ticket to Yankee Stadium is $135, which the highest it’s been since 2010, when TicketIQ.com started tracking data, and one year after the Yankees moved into the new stadium. While Stanton has been the biggest driver of demand, fans are also excited to see Aaron Boone in pinstripes for the first time since he batted .143 and struckout six times in the Yankees 2003 World Series loss to the Marlins. Most fans will choose to remember the walk-off, pennant-winning home run he blasted off Tim Wakefield to end the 2003 ALCS against the Red Sox. While the Yankees are favorites to get back to the Fall Classic, the Marlins most certainly are not. For fans looking to expunge the memories of that 2003 series, the Stanton-less Marlins come to Yankee Stadium on April 16th and 17th. Barring a disastrous first two weeks, former Yankee captains will be both the GM and manager. While Mattingly has returned as a manager once before with the Dodgers, the big question will be if Jeter is there. If he is, fans will be able to give him a proper thank-you, for as little as $15 as of today. If it is confirmed, $25 might be the cheapest ticket at first-pitch. For fans looking to get deals, prices are cheaper earlier in the season, with the opportunity to see all major American League rivals before the weather gets hot. With summer in June demand to see the Red Sox visit the Bronx is up 25% from the early May series when many schools are still not out. For Yankees fans in Boston, if you missed the early season games at Fenway park in April, the cheapest tickets for the Yankees - RedSox Series in August is around $100. At that point, Yankees fans are hoping that the division is well beyond the Red Sox reach, which would mean cheaper tickets for everyone, whether they're rooting for the Yankees or Red Sox.